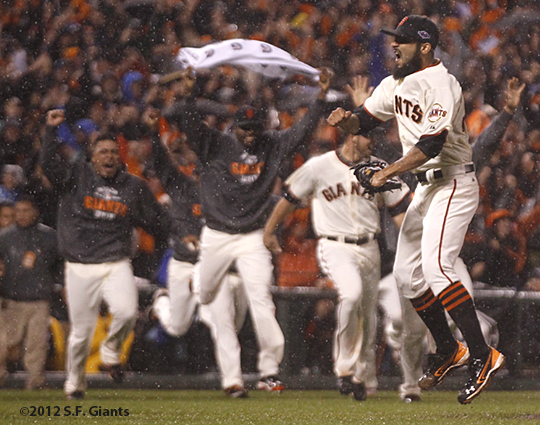 Three years, two World Series Championships for the San Francisco Giants. I couldn’t be more proud. 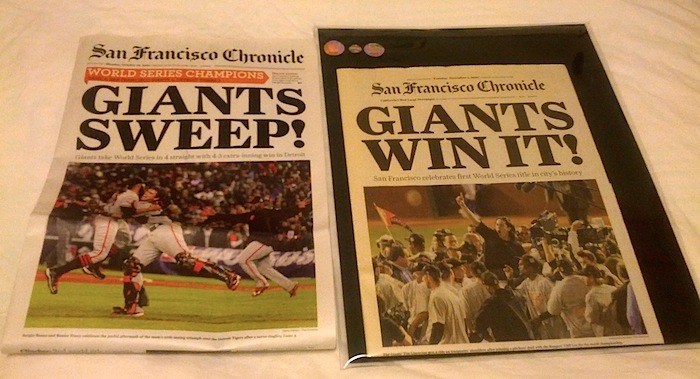 I just had to pick up a San Francisco Chronicle today, to match the one from two years ago. Side note – To those crazy people who fired guns, flipped over cars, set things on fire in the streets, and bashed in the windows of my office building: You are not true fans. You make Giants fans look like lunatics. 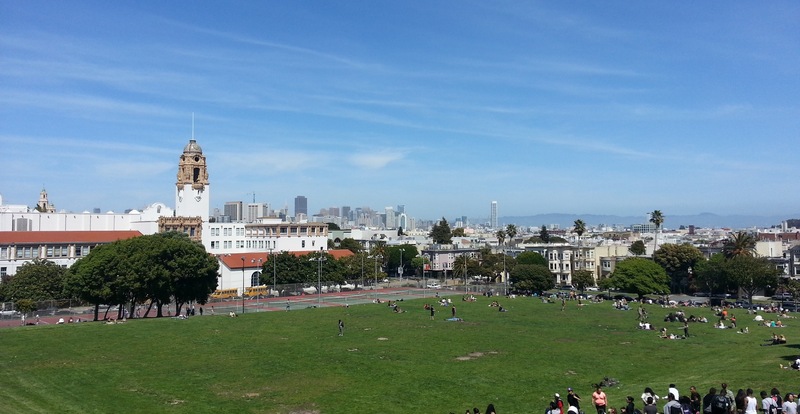 I heard most of you don’t even live in San Francisco, nor have been fans of the Giants for longer than four years. Please go away from San Francisco and do not return the next time we win. Thank You. I walked past AT&T Park this morning and the place looks great for day one of the 2012 World Series. Can’t wait to see the Giants play the Tigers. Should be a great series.